The answers are pretty surprising. 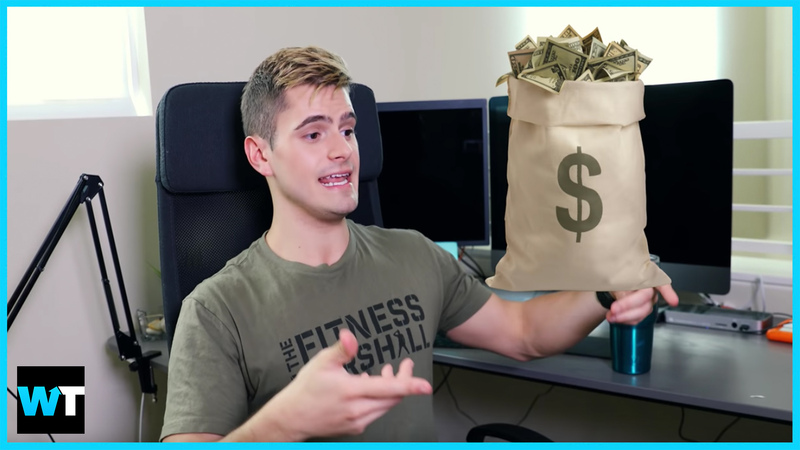 YouTubers are sharing how much money they make through ads, and it might not be as much as you think. About a year and a half ago, YouTube started going through what’s become known as the Adpocalypse, and it’s put an even tighter squeeze on content creators looking to make a living off of their videos. Megastar YouTuber James Charles recently brought up the pay gap between traditional celebrities and YouTubers. And many YouTubers agree, and have even been sharing the exact amount of money they’ve earned through their channels. One of the only creators who’s generally pleased with their earnings is entrepreneur and marketing strategist Gillian Perkins, who published a video about how she makes money on YouTube when she had only 30,000 followers. She makes over $2,000 a month on her channel working only about 10 hours a week. But not all creators are so fortunate. Toobz, who has under 6,000 followers, recently hit 1 million total views and revealed to his audience how much he’d earned in that time. He credits his relatively low total to the short running time of his videos and showed that his top performing video only got $0.81 per thousand views. For those of you out there who want to get rich doing YouTube, with that rate of revenue, he’d need 1.2 billion views to earn a million dollars. ASMR-YouTuber River shared their revenue after being monetized for just over a month, but it’s definitely not enough to make a living on as a growing channel or even if you’re already established with several hundred thousand followers. But what about the channels with millions of subscribers? The Fitness Marshall has 1.3 million subscribers, and recently published his own video revealing how much he makes from YouTube, and the amount was remarkably low because The Fitness Marshall is a dance and fitness channel, which means they use music that’s owned by major record labels. Which means that they get all the money. It makes sense…but it kind of puts the creator in a bind. And that’s why some of your favorite YouTubers make most of their money from merch, or going on tour, and the videos are just their way of keeping you interested and engaged so you’ll eventually do the things that help them earn a living. What do you guys think? Should YouTubers make as much money as mainstream celebrities? Let us know in the comments or on Twitter at @WhatsTrending.